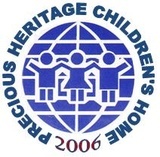 Greetings from Precious Heritage Children's Home Inc.
We are currently raising fund for the basic needs (food, clothing and education) of the orphaned and abandoned kids in our care. Any amount that you can afford to give is greatly appreciated. You can also personally bring your in-kind donations in our shelter any time convenient for you. May the Lord bless you always for your kindness and generousity.